Hi there all my crafty friends. 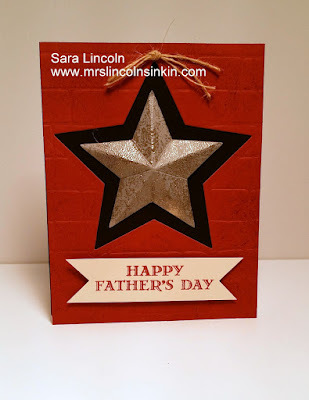 Today's share is a Father's Day card that I made for my Father-in-Law. They recently moved to Texas so I thought this was the perfect card. 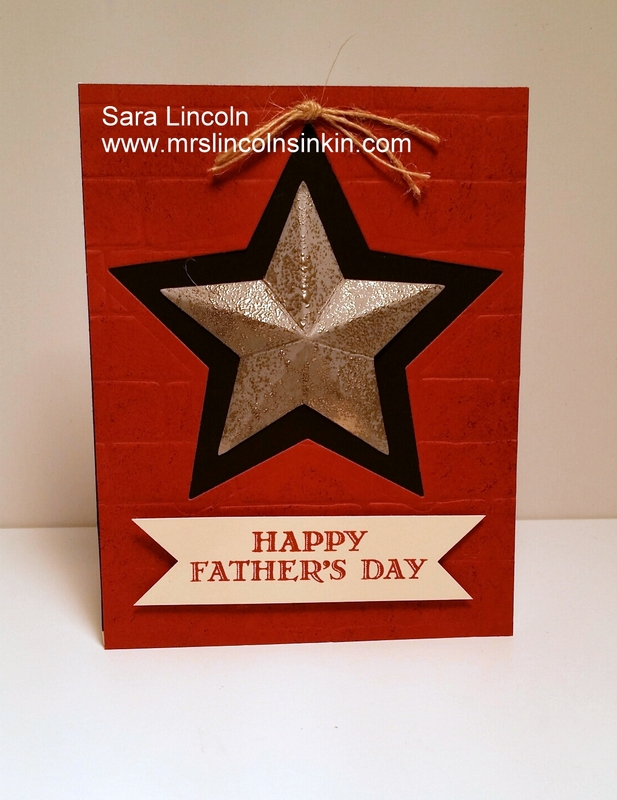 I used the Star Framelits and heat embossed it with some Silver embossing powder. I made it 3D by making a score line from each point of the top of the star down to the bottom (indented) point. Then, you fold on all your score lines and it will become 3D. I then used the Brick Wall embossing folder with some Cajun Craze card stock for the wall. To add a bit more texture I used my Sponge and Cajun Craze ink and just dabbed it all over the brick wall. 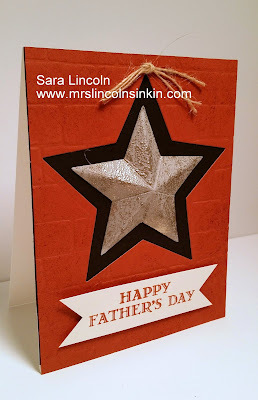 I didn't just want my star to be on a piece of Whisper White so I used a piece of scrap Basic Black to put behind the star. How did I hold the star on there you ask? Well, I just put Glue Dots on all of the points and then stuck it down. The item that I am showcasing today are the Heart Framelits.